Here I am in Latin America once again! I mentioned in my last post forever ago that I was getting geared up for my last semester in college and student teaching. I did not mention the fact that half of my student teaching would be in the Dominican Republic, but here I am in this absolutely gorgeous country. The weather is gorgeous. The landscape is gorgeous. The people are gorgeous. And you better believe that whenever I see a little Dominican kindergarten or first grader at school, I practically melt from their cuteness. Dominicans are just really beautiful people. I am also living with a family who is Columbian (who are also beautiful people), and it has been working out fantastically to allow me to practice my Spanish, which was so very rusty when I arrived here. I am very grateful that I have had so many Spanish classes and that I can get by just fine in conversations as my Spanish is coming back pretty easily. There are two sweet daughters in this family that I have enjoyed getting to know during my first week here. One is 14 and the other is 8! Anyone who knows me well can guess who I’ve spent the most time with…yes, the eight year old, Aileen! She is absolutely adorable and dramatic and high energy and funny and smart and kind! She is very much like a little Columbian version of my nine year old sister. I have adored getting to spend time picking out nail polish in local tiendas, walking the balmy streets of Jarabacoa, and watching movies in Spanish with these amazing girls. And did I mention that they are bilingual!?!?!?!? I officially want my children to grow up speaking multiple languages because these girls are brilliant! First off, they can fully communicate with me in two languages…pretty amazing! And they are just overall very smart girls 🙂 And here I am bragging about kids that are not even my own…I love them dearly though! My host parents are extremely wonderful too. I’ve been blessed with delicious Columbian food…and that there are SO many ways cook plantains to absolute perfection. Nelly (my host mom) was even sweet enough to call me into the kitchen the other day to show me how to make tostones, which are plantains smashed into a small tortilla shape and then fried to perfection! She thought that I may want to know how to make them back home (and I’d also mentioned to her how much I LOVE anything involving plantains), so she showed me the process! I’ll add that to my growing repertoire of plantain recipes! And there I go on about food…granted, that is a huge part of a real cultural experience. I think the biggest thing that moved me to decide to start a blog post tonight was the Skype session that I just had with the missionaries that I worked with back in Guatemala this past summer. We caught up about things in their ministry and what I’ve been up to teaching here (I’ll get to that shortly), and I was moved to tears when they told me that the students in their ministry still ask about me….like, what!? I never would have thought that a short five weeks spent in Guatemala would have left me and a group of students with precious memories that would be just as strong now as they were 9 months ago. They ask when I am coming back… and I think about going back ALL the time. And I really do not say this to applaud myself. I say this to applaud the God who can take a girl from little Ole’ Kentucky with not the greatest amount of self-confidence and sent her to another country, push her out of her comfort zone, and be a part of memories that will hopefully last a life time. How cool is our God? I say infinitely. I am falling so hard for the people of the D.R. Not just the beautiful weather (which is incredible). Not just the incredible scenery (breathtaking). But the actual people. The faces. The culture. The relationships that I am building here are beginning to settle deep into my heart. I am gaining the trust of some incredibly sweet fifth graders, and they are starting to mean the world to me. Their smiles make me smile. I found myself beaming during class the other day as they played a past tense verb game with excitement and smiles. I have had the opportunity to teach from an openly Christian perspective for the first time as a student teacher. I get to talk to them about real life issues and what God thinks about those issues. Issues like low self-esteem and friendships and being disciples. Today, I shared a short version of my testimony to the students during our morning devotional time. I saw students nod their heads in understanding as I talked about how hard it was for me to move twice during middle school and have to make new friends at three different schools. And then I was allowed to explain how God helped me grow and brought me closer to Him through those experiences. Crazy cool things to get to talk to fifth graders about…right as they are headed into those sometimes scary, insecurity-filled, popularity-seeking years of middle school. I received my first hug from a very reserved and guarded student a couple days ago, which is a sign that the walls of distrust and uncertainty about me are coming down. Students are becoming more apt to initiate conversations with me instead of me feeling like I am pulling teeth just to get to know them better. It is definitely a good feeling to feel like one has earned respect that is not so easily given. My heart goes out to the people of this country as I’ve already been exposed to some of their social issues. I can see how people are hurting and looking for love and fulfillment…love and fulfillment that only Christ can provide. I haven’t seriously come face to face with a lot of these issues, but I know they are present. Teaching in Christian school gives me a taste of a very different portion of the population here. There is a huge divide between the Haitian immigrant population and the native Dominicans. There is a lot of racism against those who have darker skin because that makes one look more Haitian. And people here just covet lighter skin, which is so funny since people back in the states feel pretty much the opposite. In my fifth grade class, we’ve been discussing the idea of prejudice and how we can teach people about the fact that it is a problem. The students have made it clear that they see prejudice against Haitians often. It has been really beautiful to see students talk about how they know the prejudice they see around them is really wrong. For the class’ semester service project, they are raising money to help a Haitian community build a church. Glory to God for the sweet hearts of these students. They are so excited about serving these people after learning and discussing the difficulties the Haitians have in this country. Next week, I will have the opportunity as I am teaching solo to lead the fifth grade students in planning an assembly to teach other elementary students about prejudice. So cool. I am praying that this really has a great impact upon the students about how they can be a light of Christ to the Haitian people around them. And knowing that God created everyone with different appearances, which is a beautiful thing. Well, that’s all I really have. It’s spring break here. I am about to have my first motorcycle taxi experience with my friend and fellow student teacher, Mariah…hopefully I can speak adequate Spanish to not get us lost. Hey there beautiful people. So, here I am back in the states. I’ve been here a while, but I am just now deciding to continue this whole blog thing. I have been adjusting to American culture, and let me tell you, it has been tough. I was warned by the missionaries I served with in Guatemala that reverse culture shock is something I would likely experience. And my, I certainly have. It is a strange feeling to be shocked by the attitudes and behaviors of the people I am usually surrounded by. It is unsettling to find myself disgusted by consumerist things I hear on television, on the radio, and even out of the mouths of people I love. I have gone through times of feeling directionless and purposeless, realizing how self-serving my typical day-to-day life is. I missed (and still do with all of my heart) the people I had the opportunity of living life with for five weeks. I miss the smiles from beautiful faces as I played English vocabulary games in dusty classrooms. I miss the laughter of children playing games with hula hoops and watching our over-dramatized skits about the parables of Jesus. I miss the sweet abandonment of praises sung in church services. I miss more than anything the deep relationships I had with extraordinary people. And as I could rattle off a list of countless other things I miss from Guatemala, the hard truth is that I am not there right now. I am back in the U.S. getting ready for a new season of life. My last year of college. A season that will lead me to…well, only the Lord knows that right now. I indeed plan to continue pouring into those extraordinary people’s lives through prayer and support of God’s work in Guatemala as much as I can. However, I cannot let my entire being be consumed with the desire to be in a place where God does not have me in this season. If I do that, I will completely lose sight of what He has for me to do right here, right now. I cannot forget that Christ’s call to make disciples of all nations is everywhere, whether it is in impoverished Guatemalan villages or in beautified cities where there are also hurting, impoverished hearts. It honestly makes me sad to think that I have not been doing that all along: making disciples. And let me just expand on that a little bit. Whenever I used to hear the term “make disciples,” it was always a little unsettling for me to think of myself doing such a thing. How could I claim to be making disciples? I have been realizing that I am not in any way glorifying myself as a better Christian if I am “making disciples.” I am simply sharing Christ’s love. Sharing life. I don’t have to be a super holy and amazing person (which is nice, because I am not that) in order to invite people to be fellow disciples of Christ. I am realizing that I don’t have to be a super put-together, charismatic person to share life with people. I just need to love them. Show them that they are very loved. I think being there for people is the first step and bridge-making move I can make in order to share Christ. I have been so blessed to be able to experience living in this way in Guatemala. The first thing I can do is just pray for God’s grace to radically love people. I have no reason not to do that every single day, wherever I am. I do not have to be an intern in a foreign country to do that. I do not at all discount the value of sharing the gospel with people. I need to do that too. But I’m thinking that evident, radical, real love comes first. And then I will shamefully admit that I’ve done the opposite by browsing through online clothing boutiques, mentally designing the cute teacher outfits I could wear for my next practicum. Lord, forgive me for my consumerist tendencies. It is indeed a journey I am on. Trying to figure out how to live in one place, yet not forget the impact that the consumerism of my own culture has upon the people of another culture. I am not saying that each purchase made by people in the United States contributes to global poverty, but what I am saying is that I guarantee that I could find at least one item of clothing in my own closet that was made in a Guatemalan sweatshop, most likely by a child. I can place faces with those facts now. How could I have had such a deeply rich experience and yet, still live without any change of lifestyle? Still thinking about unnecessary purchases. What is dressing to be respectful of what is expected in a profession, and what is submitting to a culture that is twisted and all-too-focused on picture perfect appearances? How do I find a happy medium? Still figuring this out. Like I said, it’s a journey toward balance. And now that I have referenced the issue of “picture perfect” and finding balance, I have been on a journey in the area of not being held by the idea of “picture perfect” as well. 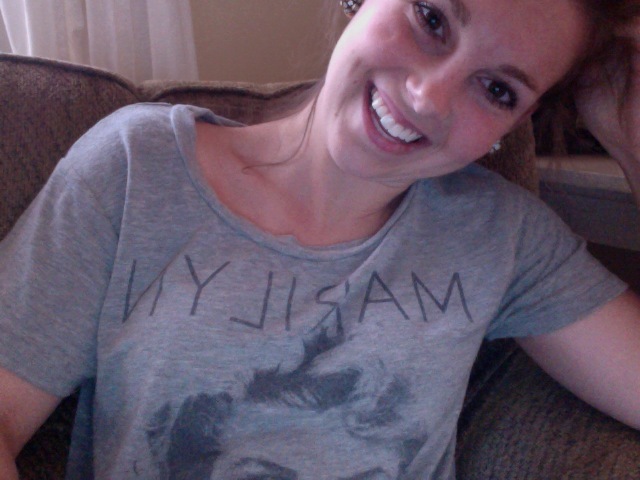 You may have noticed that I am wearing a shirt with MARILYN Monroe on it in the picture at the top of this post. What a beauty that woman was. What an inspiration she still is…to bash the ideas that women have been bombarded with about beauty. Ever since the introduction of skeletal supermodels and photoshop and unrealistic Barbie dolls, girls have been showered with the idea that these images represent ultimate beauty. Marilyn Monroe, to me, has been a recent representation of the fact that being over a size 2 is not a tragedy. I am on a journey to being ok with being larger than Hollywood would encourage. It is a difficult journey. If you know me well, you know that health is a huge theme of importance in my life. I desire greatly to take care of the body I’ve been given, yet I’ve become so concerned with being healthy that I have become unhealthily obsessed with my physical appearance. But through God’s grace, I hope to believe that I am on my way out of a season of unhealthy obsession with health and into a healthy perspective on a balanced life. Gratefulness for the body I can use to dance, run, and do yoga. Eating healthy not to lose weight, but simply to enjoy more fully the body I’ve been given. Exercising not to simply burn calories, but to enjoy the energy it gives me for the day. Whether I am in my home town of Louisville, Kentucky or my university in Wilmore or in a village in Sumpango, Guatemala, I know I am made to live like Christ, sharing His love in every way that I can. So, I have been in Guatemala for three and a half weeks, and I don’t have sufficient words to express all of what I have experienced here. It has been a time of spiritual growth, learning about a new culture, developing relationships with beautiful people, and allowing God to use me in areas that I didn’t even expect before coming to Guatemala. One of the first things that I always notice in the people of Guatemala are their beautiful eyes. I know a lot of people with big, bright, gorgeous eyes, but the eyes of the people here in Guatemala are absolutely stunning. Every time I meet new people here, and get to hear their stories, whether pleasant or heart wrenching, I can see how their eyes tell their stories. It is my prayer for all of the people I meet here that their stories become beautifully touched by the presence of God in their lives. I have already seen Him at work in so many ways. Through working with the missionaries of PILAS Ministries (Gerry and Barbara Normand), I have also had the amazing opportunity to be a part of a beautiful community in Sumpango, Guatemala. The Normands do so much for the people of Sumpango and the surrounding villages, beyond just giving scholarships to the students of their own ministry. They bring medicine to families in need, visit families that just need a smiling face, a prayer, a hug, or even help resolving family issues. They give their students and acquaintances in the community an open invitation to their home in the evenings after they get back from doing youth groups in the local villages and all day on Sundays as well. The Normands create a beautiful community through their ministry. They cultivate relationships and let people know that they really care. They don’t just meet people’s momentary physical needs and leave to live comfortably in their own home. They want to know how people are doing emotionally and spiritually too. The other day, I was with Barbara after we had youth group in a village. We ran into one of their former youth group participants, who was clearly struggling through life. She looked tired and worn from hard work. As Barbara spoke with their friend, she clearly expressed compassion for the hard work that this girl was enduring. She was encouraging, but did not dismiss the girl’s difficult situation. At the end of the conversation, Barbara told the girl that she was welcome to come over with her best friend whenever she wanted, just to hang out. There have been so many other times in which the Normands have shown their care for the day-to-day lives of the people they know and have developed relationships within the villages around Sumpango. I have been so blessed to be a part of this beautiful community for the past few weeks, and it brings tears to my eyes to think about not being here in ten days. True and beautiful community is something that I think many people lack. It is something that I have been very passionate about since before I came to Guatemala. Christians are called to be the hands and feet of Jesus, and I believe that looks a little different for everyone. However, another thing that I believe is that it doesn’t look like people going to serve in a soup kitchen once a month, then forgetting about the physical, emotion, and spiritual needs of the people they served the other 29 or so days of the month. I think the most beautiful thing about truly being the body of Christ is to invite people in. Share the bounty of Christ’s love all of the time in some capacity. I can speak for myself too…that I as a member of the body of Christ should be thinking more about extending the body, not just dwelling in a comfortable home, dorm, flat-screen-equipped living room, pantry-stuffed kitchen…I think you get the picture. I need to do more than just help feed a hungry belly once a month. I need to show that I really care. I need to really live life with the people I say that I love. Right now, I am getting to live life with the people of Guatemala— who I love. I pray for God’s grace so that I will continue to live life with the people that I love wherever I am. So, during devotional time that we have each morning with the students in the ministry I am working with (PILAS), we have been reading passages in the gospels and watching parts of the movie, Son of God, that correspond with the passage. Thursday, we watched the extremely gruesome and horrifying section in which Jesus is crucified. The room was completely silent (save the gasps coming from the young girls in the room…understandable gasps). Then, through my own foggy, glossy eyes, I glanced over and saw sweet Carlos, a thirteen year old boy, tears welling up in his eyes. A boy who has very little, has not been through years and years of children’s church lessons, nor emotionally-hyped youth conferences …he sees the incredible thing that Jesus did for us and sheds the sweetest tears. Sweet tears that make it so clear that he was overwhelmed with what Christ did for him on the cross. I think it is so easy for people who are brought up in the church to become desensitized to the reality of the cross. The grueling pain that Jesus endured for us so that we may be in relationship with Him is so engrained in us that we forget how profound that act was. I want to live in constant awareness of the breathtaking story of the cross. But not only the cross. Because that’s not the end of the story. I want to live in constant awareness of the fact that Jesus also triumphed over death. Lord, may I always get how profound the cross is just like sweet Carlos. I have been reading the incredible book by Bob Goff entitled Love Does. I know there has been a lot of hype about it for a while, but I am just now getting around to reading it myself. Although that was completely and absolutely exquisitely put, I want to add a little something a bit more personal that connects with this beautiful picture Goff has described. As I described in my first post, I came to Guatemala for the first time over three years ago and immediately wanted to return after only being here one week. It was like God poured out a passion for this country and its people, and I was drenched. What I did not mention before was that I went through a period of time in which I thought I would never be able to return to Guatemala. Maybe the reason I don’t have enough funds to go is that God is simply closing the door, I thought. People even told me that. Maybe God just wants you to stay in the states and teach. In all honesty, I was pretty discouraged when I heard that. At the time, I had virtually no passion for the American education system. I prayed a lot about this and came to the conclusion that I needed to be ok with whatever plan God had. 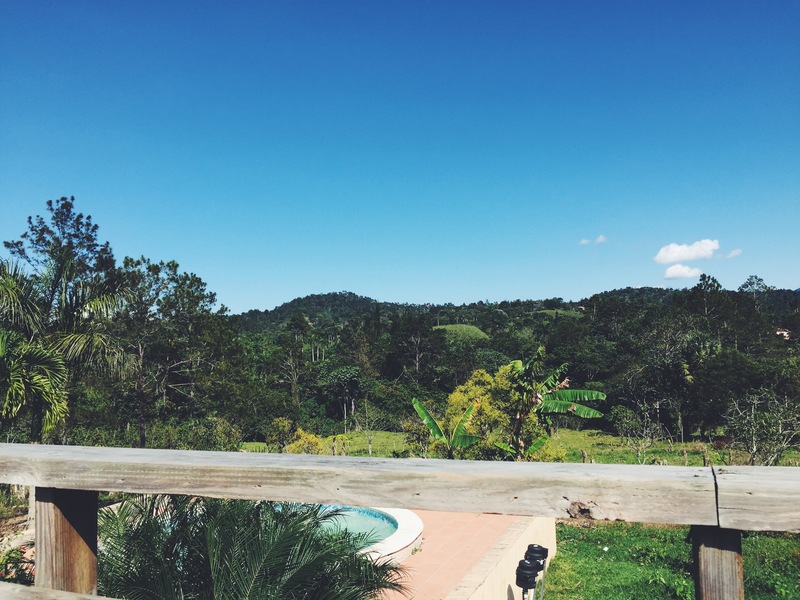 I still had a HUGE passion for Guatemala, but after a lot of prayer, I realized that I simply needed to be open to wherever God led me, whether in the states or overseas. Right now, I am sitting in a house in Guatemala typing this. I just completed my first week of teaching English at a local school in Sumpango, Guatemala. God has provided me with an amazing opportunity to experience life where I am most passionate. I don’t say all of this to say that I have it all together or that I am the perfect “truster” in God’s plan. Eh. No, not at all. I say all of this to encourage you in your passions. Whatever you think God has impassioned you in, He can and does give opportunities to experience those passions. It may not happen the way we want it to, but that’s the beauty of how God moves…He has a vision greater than our own. He wants to take us on the best kind of adventure. Passionate. Indescribable. With Him. 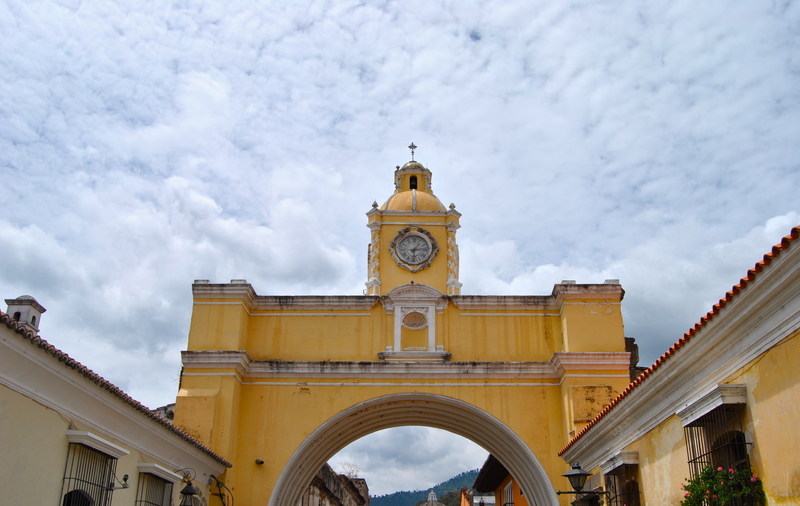 I have just started a new adventure I have actually been dreaming of for the past few years…”being a teacher in Guatemala on the mission field.” If you are reading this and you know me well, there is a good chance I have mentioned this passion to you before. A little over three years ago, I went on a short-term mission trip to San Cristobal, Guatemala for one week. 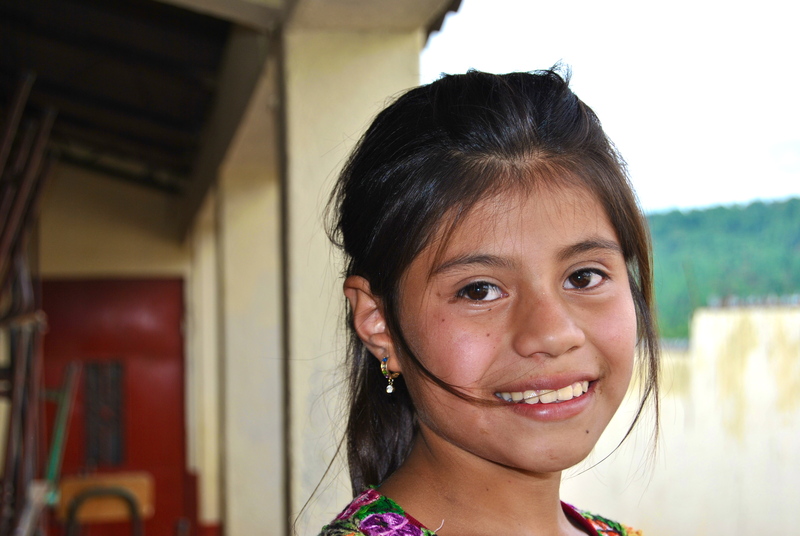 To put it plainly, I fell in love with Guatemala and its people…specifically the children. I knew immediately after that trip that I wanted to come back. In March, I received some news of an incredible opportunity I did not have high expectations of actually happening. I was selected as one of ten recipients of a grant that would fully support a mission-trip proposal for me to serve in a developing country. I went through a long process of crafting a proposal, and well, in the end my proposal went through. Something that had only been a dream because of a shortage of funds all of a sudden was a reality. I was going to Guatemala for five weeks, and by the blessing of the Lord through my college, would not have to pay a penny. Not only do Barbara and Gerry share Christ’s love with the students in their ministry program, but they help them develop skills that will help them become leaders in villages that desperately need them…places that are begging for change, but don’t have the right people to initiate it. Specifically, they focus on teaching the students English. Barbara and Gerry’s vision is to shape leaders to be the hope for positive change in the surrounding villages of Sumpango. And I am getting to be a part of their vision. What I believe is also God’s vision. Amazing. I was drained physically from late nights of studying and early mornings of cramming and exams. I was drained emotionally from, well, a lot of things. I was drained spiritually from a lack of sweet, sweet time with Jesus, who I neglected to spend much time with because of my studies and tiredness. I wanted to be super pumped up for leaving the country, but I lacked that spark that I thought I would have right before leaving. And I was believing a lot of lies about myself. What!? Man, God has impeccable timing. It was like he waited for that very moment to reveal that special truth to me because that’s when it would really sink in. Right before I boarded the plane for my “mission fields.” I had been striving to be the person that I thought I needed to be for this trip, and what God wanted to tell me was that I was already that person. Wounds, scars, brokenness, tiredness and all…He chose me, and I was being prepared through his sweet, sweet grace. I have also been flooded with His blessings of peace since I arrived in Guatemala. I was so worried that all of the things that were keeping me preoccupied before I came were going to keep me from focusing on the work God wanted me to do. I had a fear that I would be here in Guatemala, yet my mind and heart would not be completely present. But again, God is so faithful. After I arrived, I had a couple of days to settle in, get used to the time change, and do some sightseeing with Barbara and Gerry. On my first Monday here, I went to the local school where I would be teaching English. I glided right into the classroom, and I have had so much of the energy and passion that I feared I would not have. I have been free of worry and fretting about the things that had unhealthily consumed my thoughts before coming. Praise be to God for His incredible grace. There is so much more to say about what I have been learning here this past week. I have had so many different experiences and roles that I could start anywhere. I will begin with the youth groups in the villages. Barbara and Gerry do youth group in three Guatemalan villages near the city where they live, Sumpango. There is so much that can be said that is typical of Americans visiting developing countries. Nonetheless, it is heartbreaking to see the conditions some of these sweet people live in. We visited one particular family in a village after youth group in which the father had been sick in bed for days. Through discussion with family members, we discovered that all the local clinic could provide was a small package of Ibuprofen to manage his pain. I looked around their humble home. I saw two young children with smiles and shining eyes that could melt any heart. The gratitude that the family displayed was incredible as Barbara and Gerry spoke with them and gave them some more Ibuprofen. There was a point in the visit where I barely managed to choke back tears and keep a smiling face. As we said goodbye, the young daughter gave me one of the most meaningful hugs I have ever received. I may have felt completed defeated and far from God from all that was draining me emotionally, but nothing can separate us from Christ our Lord. He always draws us back to himself when we fall and are weary. “Come to me all who are weary and heavy-laden, and I will give you rest,” Jesus says. And we don’t have to be all fixed up by ourselves in our own strength. We can come to him in every season and He WILL bring us peace. He is so good. So faithful. His ways may be mysterious, but they are also beautiful.